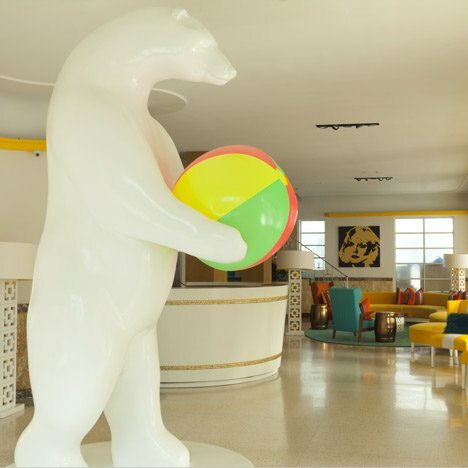 New York studio BHDM have completed the interior of this boutique gay hotel in Miami Beach, where visitors encounter a life-size statue of a polar bear holding a beach ball in the lobby. 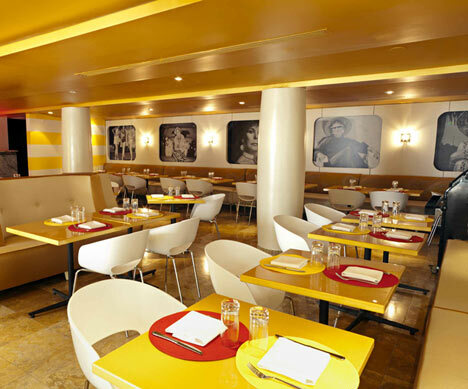 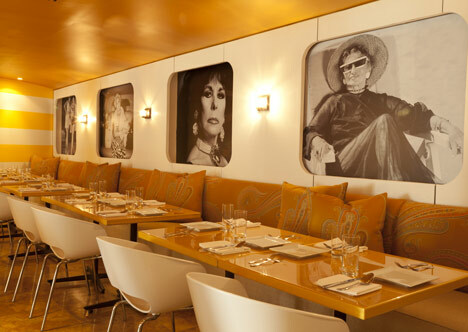 Other details at Lords South Beach include yellow and white striped wallpaper, leather-studded chairs and a gold, glitter-clad bar. 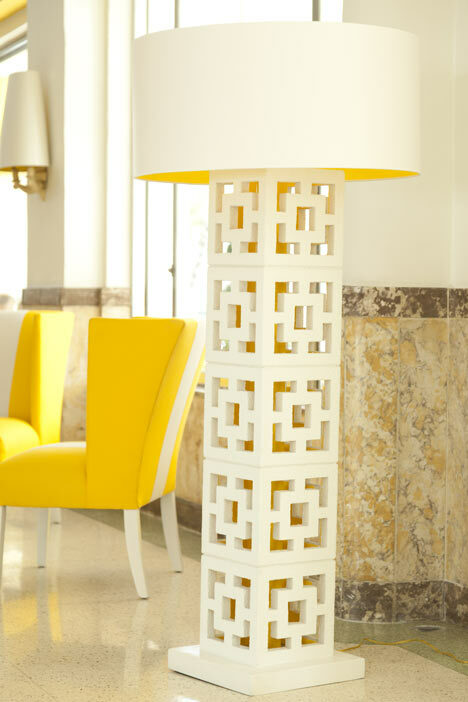 The hotel is the first to open for the brand Lord South Beach, with more planned for other US cities. 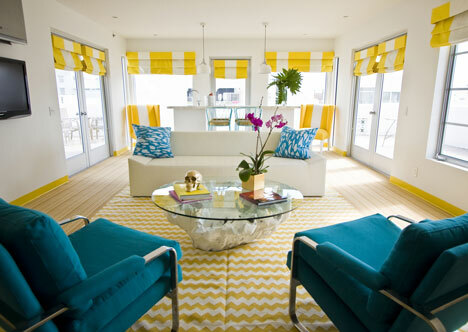 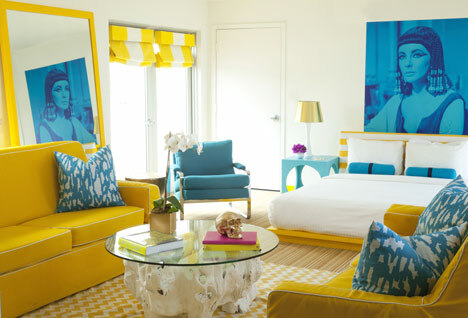 Lords South Beach is the first gay boutique hotel brand in the US, and the hotel just opened this year in Miami Beach. 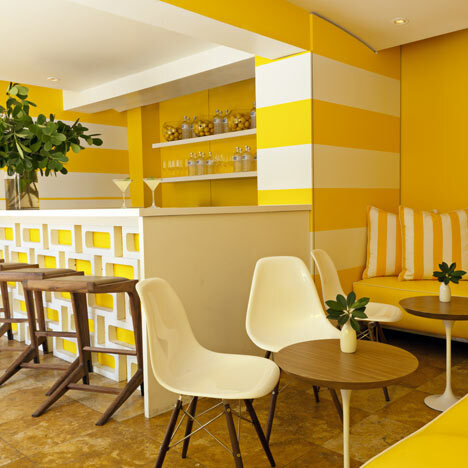 The concept has been very well received, and Brian Gorman - owner of the hotel and founder of the Lords brand - has plans to open in other US cities. 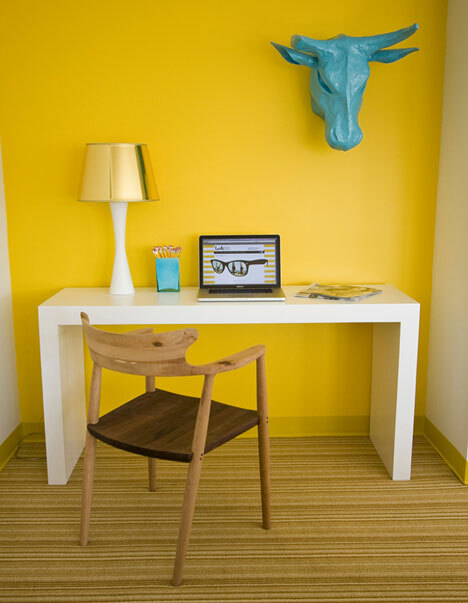 Located at 11th Street and Collins in the heart of South Beach in the former Nash Hotel space, the design is spirited and playful, with unexpected touches, and uniforms custom designed by Levis. 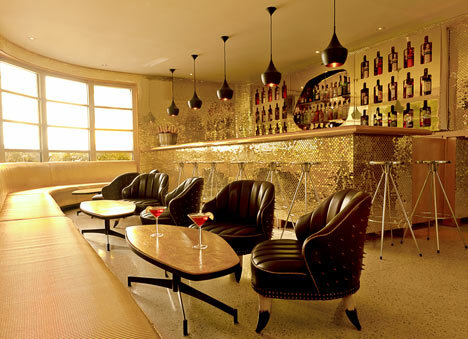 There are 54 rooms and a variety of hotel venues, including the Cha Cha Rooster Restaurant, the Cabana pool bar, and a lobby bar with cocktail partner Absolut. 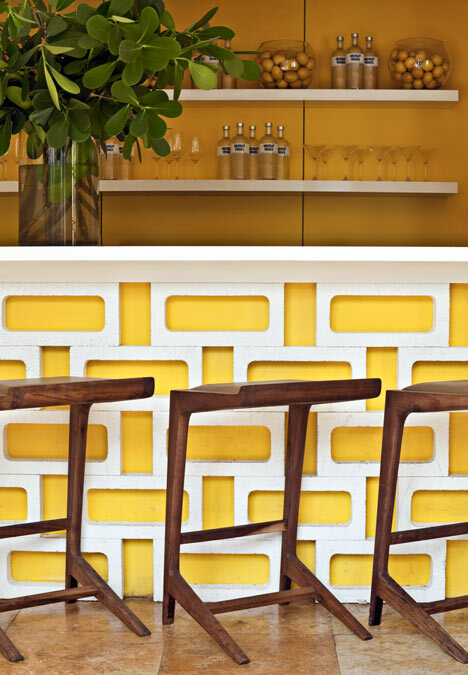 The space was designed by BHDM - a young NY-based design firm whose recent projects include The Lion restaurant in New York and the soon-to-open Cotta restaurant. 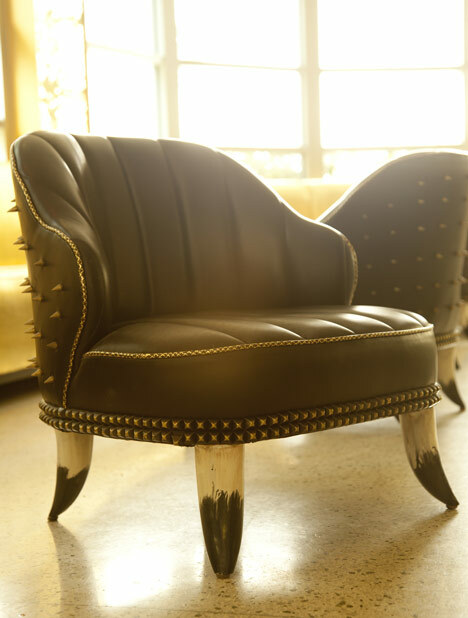 Dan's past experience includes his role as a Design Director at Ralph Lauren where he designed over 100 stores in 16 countries. 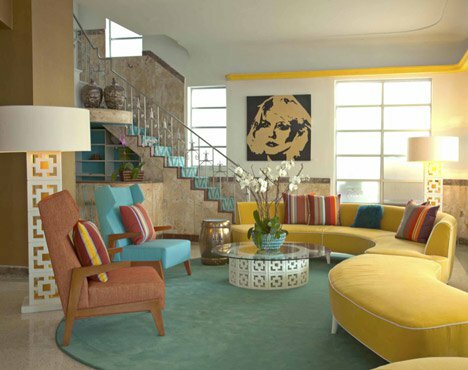 Brian worked as Director at Calvin Klein as well as Ralph Lauren Home as a product designer.